The Fireplace ornament wasn’t the only PCB I gave as a gift this Xmas. I revisited my old Meeple design for a couple of stocking stuffers. I wanted to put a spin on my original badge and add a larger pad on the back to accommodate a cuff-link backer. So rather than dig out the old Eagle files, I loaded up KiCAD and redesigned this board from scratch in a few minutes. I had another PCB ready so be ordered, so I tagged six of these on for a couple of dollars. Here’s the OSHPark render. 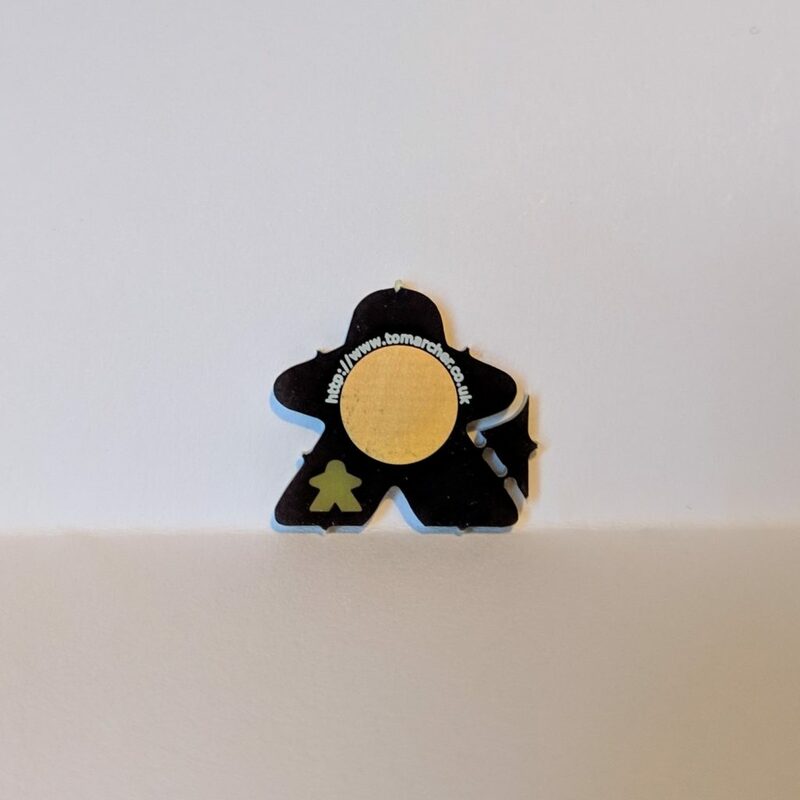 OSHPark were kind enough to accommodate my request for extra packaging around these tiny pins, but unfortunately a few of them still got a little bit scratched up. 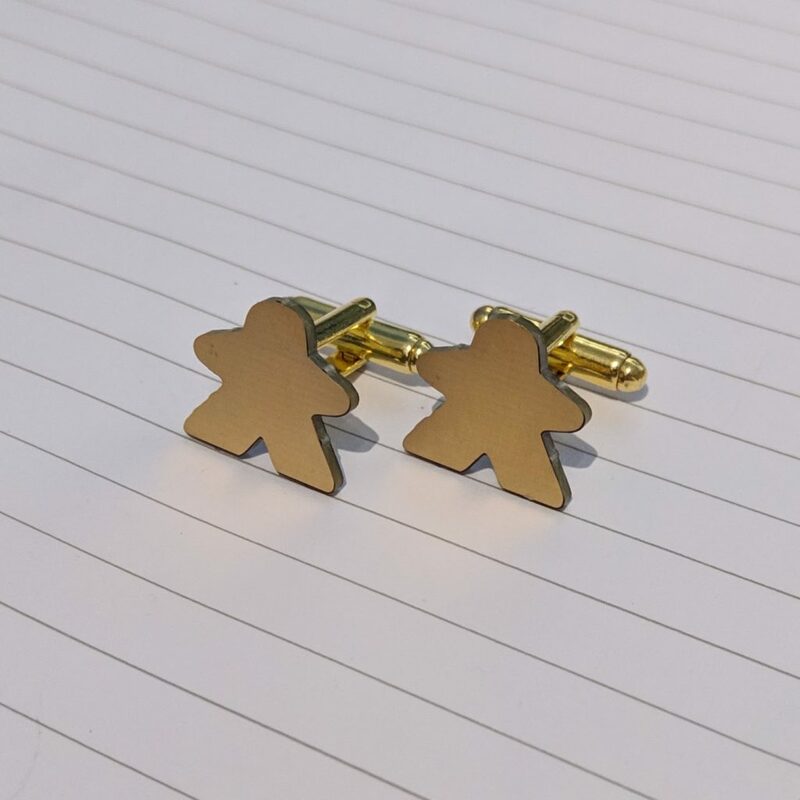 Fortunately I ordered more than I needed and I had enough boards in hand to make another traditional pin and a pair of cuff-links. This time around there were no alignment issues with the ENIG finish and the mouse-bites were tiny! Soldering on the backers proved a little difficult – getting them heated up took a bit of time – but eventually I ended up with some nice looking cuff-links. I was tempted to leave the fronts bare and let them weather over time but eventually settled on giving them an enamel clear coat for protection. These made for nice little gifts, but are a little fiddly for me to sell in any sort of quantity.